...courtesy of semaj over at NASIOC. He sold me his FastWRX replica V-Limited lip and I picked it up Sunday evening. I think it changes the look of the STI quite dramatically and I really like it. 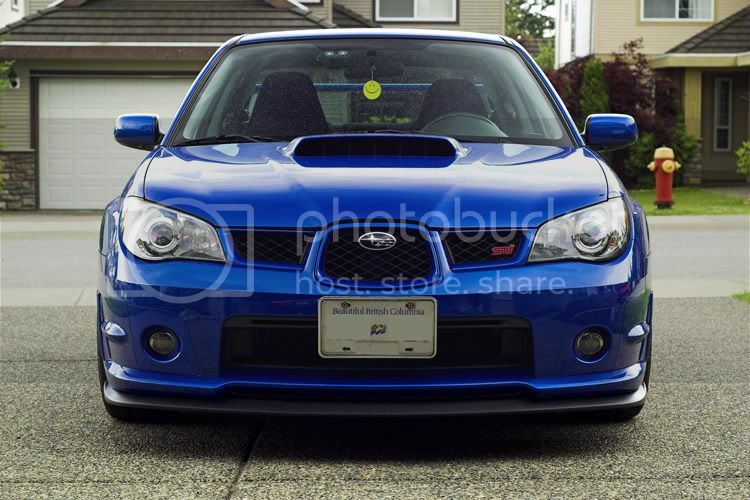 The STI front lip spoiler forces the air up and over the cars front and drastically reduces lift. With the rubber extension, Subaru claims a reduction in front lift of over 36%. I haven't added the rubber extension, but it could always be an option in the future.